If a Gears of War movie ever gets made, Dave Bautista seems like an ideal candidate for the role of Marcus Fenix. As a former pro wrestler, he’s got the inhuman build, plus he’s got just the gravelly voice and comedic timing to bring the game’s masculine absurdity to life. It turns out that we’re not the only ones doing this fan casting – Bautista himself has apparently been trying to make this happen for years. Make more casting calls with the best FPS games on PC. He ends with a (half-)joking call for grassroots action, saying “If you can start a petition, feel free.” Please do – after all, even Gears designer Cliff Bleszinski is showing his support. You can see Bautista’s answer in full below. Indeed, Gears of War has been in line for a film version since at least 2016, with Variety reporting on the partnership between Microsoft and Universal in October of that year. There’s been little news since then, and game adaptations have a tendency to disappear at many stages of production, though if there’s a chance for more big screen Bautista I’d like to hope this one has a chance. 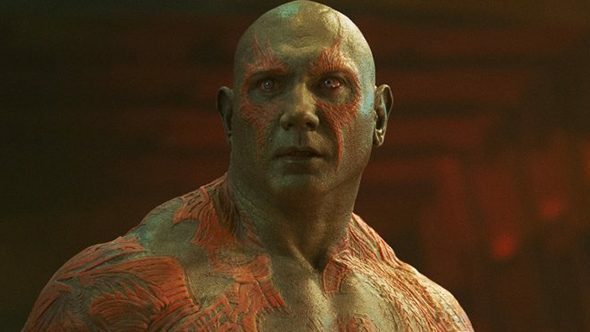 Bautista became famous in WWE – as Batista – before taking on the role of Drax the Destroyer in Guardians of the Galaxy for much more mainstream fame. (Just as well, because that run against Daniel Bryan worked out very poorly for him.) He’s been a highlight of movies from Spectre to Blade Runner 2049 since then, and here’s hoping there’s room for him as the Gears lead.